I just watched this freak-out video on YouTube and now I’m afraid of the dark. So the UCO Arka XP-E CREE 180-Lumen LED Flashlight Lantern and Portable Charging Station for USB Devices is looking pretty good right now. It’s probably not something which would be an impulse buy, it’s more likely an emergency necessity if hordes of zombies decided to work out on my front door. This LED flashlight looks large in the promo shots but really it’s not much bigger than a standard flashlight. The LED provides a cool, long lasting, and bright glow and the unit is rechargeable so it can be plugged into an outlet when not in use. 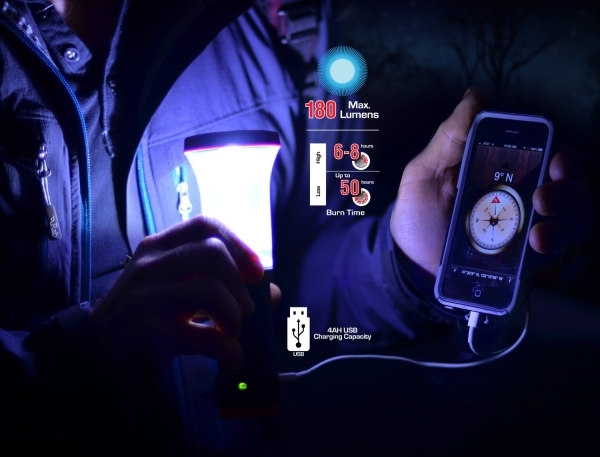 It’s durable and water resistant making it perfect for camping, festivals, and midnight picnics in the park, and it also comes with a split ring on the top so that it can be hung to help illuminate a room (or tent) on short notice for power outages. It can also act as an emergency charger for mobile devices in a pinch. At the full 180 lumen it can burn for 6-8 hours but on its lowest setting it will last for up to 100 hours. So if you want to ensure that it will last all night to keep you safe from whatever lurks in the darkness, the lowest setting will provide you with enough light to last for a long time. 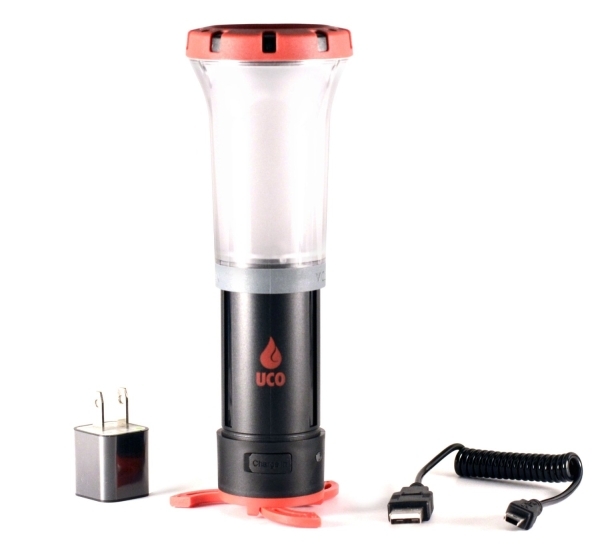 The UCO 180 Lumen LED Flashlight Lantern retails for $47.97. Donyae Coles – who has written 3190 posts on The Red Ferret Journal.